The harness race track at Cal Expo hosts harness horse racing from the beginning of October through early May and thoroughbred racing during the California State Fair in July. During the harness racing season, the track puts on races on Fridays and Saturdays, except for October when races take place only on Fridays. Fans enjoy stakes races throughout the season, with prize money topping out at $6,000 for both trotters and pacers. Cal Expo Race Track also offers year-round simulcast horse race betting. In 1968, Governor Ronald Reagan opened the new “Cal Expo” site, which covers 350+ acres. The track harness track at Cal Expo first opened in 1971, at a time when harness racing enjoyed great popularity throughout California. Back then, Los Alamitos and Hollywood Park were the other two major tracks that staged harness racing, creating a circuit that fans could follow throughout the year. The owner of Hollywood Park purchased Los Alamitos in 1983 and moved all standardbred racing there while turning Hollywood Park into a thoroughbred-only track. The cornering of California’s standardbred circuit made it difficult for the track at Cal Expo to compete, and there were no longer races held there by 1995. Capitol Racing brought harness racing back to Cal Expo a few years later and transferred management of the races to Sacramento Harness in 2005. In 2008, the California State Fair took over operations and live thoroughbred racing returns to the State Fair. Today, Cal Expo pays tribute to numerous harness-racing devotees who helped make Cal Expo a center for the sport by naming races after them. Some of the most notable races include The Bob Staats Pacing Series, Dr. Gary Budahn Trotting Series, and the California Sire Stakes. 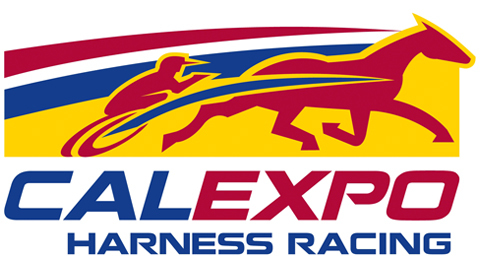 Cal Expo also hosts the Governor’s Cup Stakes Race, a notable thoroughbred race held during the annual State Fair. The track record at Cal Expo is 1:49.8. The Daily Racing Form (DRF) assigned Cal Expo a speed rating of 7 (1:57 2/5-1:57 3/5) and a record rank of 15t. Did you know that the track record at Cal Expo is 1.49.8!